Amazon is one of the best platforms to be an Affiliate Marketer as it is one of the most visited eCommerce sites in the world. Although it is not used much by Asian countries, the market is slowly growing with free international shipping opportunities and so Amazon is getting bigger and bigger which means that now is the perfect time to jump on board and start leveraging their hard-earned reputation to sell and make some money. Before you spend your time starting your Amazon affiliate business, there are some things you should know about the Amazon Affiliate program. Unlike other affiliate programs which gives at least 50% commission, Amazon only give you 4-8% percent commission. Extra items commission combo – I have no idea on what Amazon calls these but for every customer that goes to Amazon using your affiliate link, they will be marked with your affiliate ID. So when this happens, whatever it is that they buy, a percentage of that will go to you! I once received a notification from Amazon telling me that my referral bought a TV and I instant made $32 without knowing anything! How cool is that? Amazon shoppers usually buy several things at once – If you’ve been on Amazon and you’ve bought something, have you ever clicked on “close” immediately? I don’t think anyone has… unless they really need to go. But whenever they buy something on Amazon, people will stay around a bit longer to browse through other items available and eventually, they will feel the urge to spend more hence giving you more money! The higher the price, the bigger the commission – Amazon has a variety of products with prices reaching thousands and if your referral has the urge to spend on these, your commission is going to be worthwhile. Sales boom according to seasons – Feeling down that your sales aren’t as much as you expected? Wait a while till the next sale and people will start spending more on Amazon like nobody’s business which is of course, your business. Amazon has a very good reputation – Who doesn’t know Amazon? One of the biggest obstacles which are stopping people from spending money online is the fact that they might be spending it on a scam. However with Amazon, people will have more trust when they want to spend their money which will also lead to a higher conversion rate. So there you go, 5 reasons which made me stand by my choice of being an Amazon Affiliate. Not many people prefer to become an Amazon affiliate due to the low commission rate but what they didn’t know is that Amazon actually has a perfectly good reason for those rates. The idea of making money through Amazon is not to promote it blatantly like a salesman, but to create a blog and promote professionally because that will give you more sales, even when you’re not working on your blog. You can of course tell people “Hey buy something from Amazon!” but do you think many will buy? 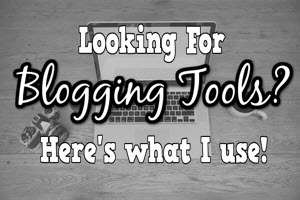 Having a blog not only gives you the established image of a trustworthy person, it helps relate what you are talking about so that others will have more tendency to buy from you. Did you know that 60% of US consumers made purchases online? Blogs are a powerful tool when making money online because they influence people to buy with great stories, tips and how-to’s that are written by real users. There are many bloggers who make loads of money online, so much so that companies are trying to reduce their corporate images to a more casual look so that people can relate to them better. Let me ask you this, does the thought of blogs scare you? I get many questions regarding this from my students, even emails to my blog and I could understand that completely as I too was in the same place as you. I’m a hotel student, not a computer science guys so if a person who doesn’t have any knowledge whatsoever on starting a blog can do so professionally, why can’t you? Actually, compared to 12 years ago when we still use coding to create a blog, we don’t need to know that now because with the advancements in web development today, anyone can create a website or a blog (They’re both practically the same thing) in a few minutes! 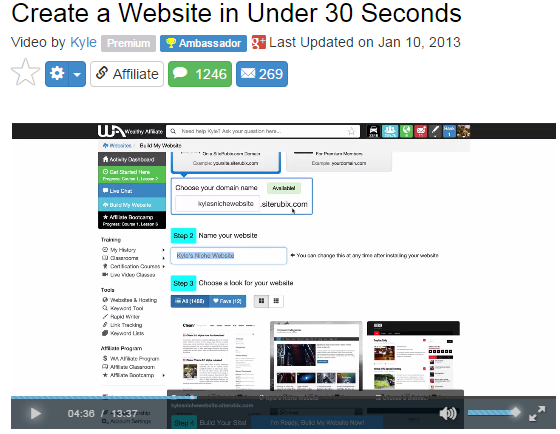 In fact, you can actually create a site for free! There are various free website providers such as Weebly, Wix and Webs but if you’re planning to make money from it, I recommend SiteRubix because it is much better in terms of performance, Google rankings (which we know as SEO), and security. Have a blog name ready for your business that you’re just dying to check out? Don’t spend too much time on your name because really, it is not that much of an importance. I mean look at my blog’s name here, My Internet Quest means nothing at all lol. Many people spend weeks thinking of a name which is a complete waste of time because for all those times you’ve wasted, you’re losing the opportunity to grow your blog and make money. Step #2 – Choosing Amazon products that suit you. The next step is to choose any products from Amazon that you would like to promote on your blog. Don’t worry about the blog niche, Amazon has all sorts of things you can promote on your blog that’s also related. If you run a beer blog, you could promote stuff like Pint glasses or even home-brewing books. A friend of mine Nathan did this pretty well on his blog Brew7.com. After having your blog up, you should plan ideas of whatever products you are planning to promote on your site (Which is related of course) because that is what we will be covering next. Now that you have an idea of what Amazon products to promote, the next step is to enroll yourself as an Amazon Affiliate and for that, you need to sign up here. 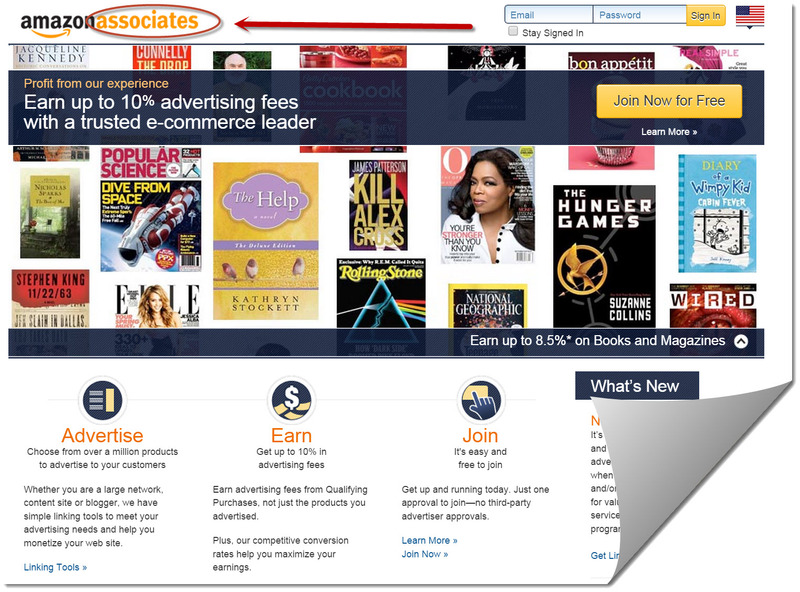 Please note that in order to become an Amazon Affiliate, you DON’T go to Amazon.com! Instead, you need to go to affiliate-program.amazon.com. Once inside, you will have to fill up a few forms which is a bit troublesome and time-consuming and once you’re done with that, you’re an official affiliate of Amazon! Now that you’re an affiliate, you can now earn money by promoting Amazon and the best way to do that, is through your blog! A lot of people blatantly promote Amazon products by stuffing pictures and prices all over their websites. Although that might work, it is also very messy and salesy so the best way to sell your Amazon products, is to use links! However if you reduce you selling efforts by not making it as obvious, you tend to get a much higher conversion which is really interesting. So how do you use links to promote your Amazon products? Now all that you need to do is write blog posts with great content and promote your products with links. 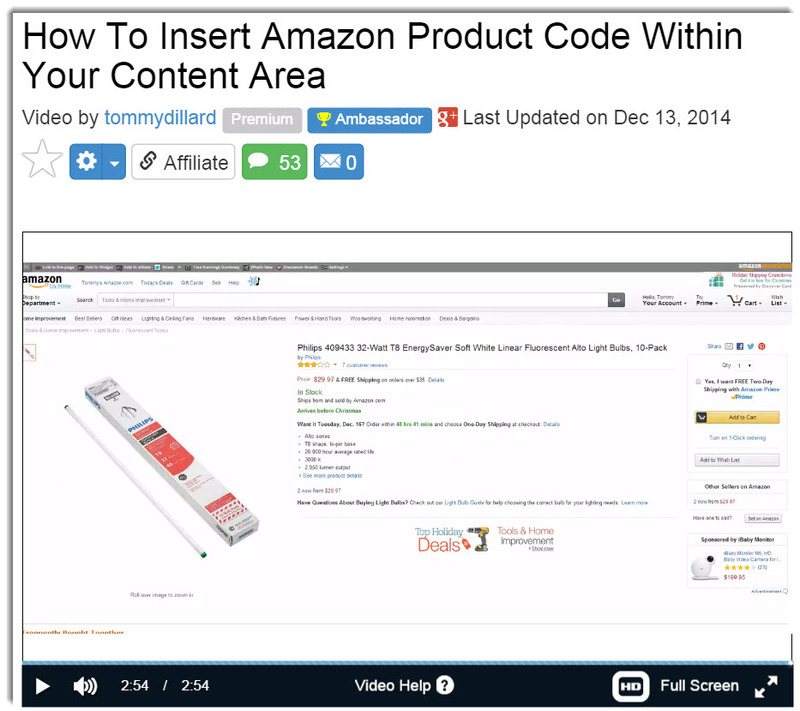 Boost Your Amazon Affiliate Sales! 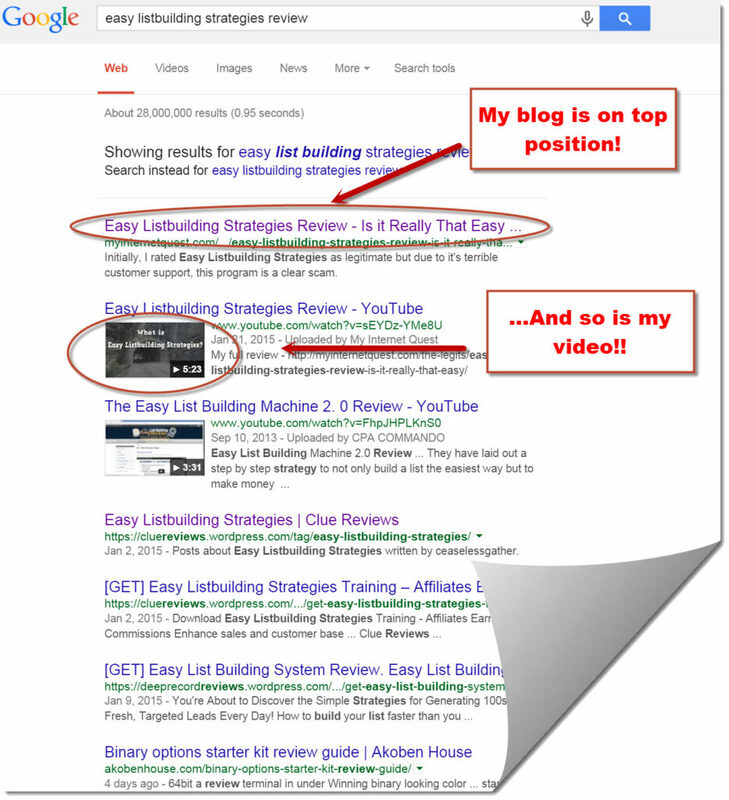 –Learn How to Rank Your Blog in Google. Now that you have a blog and great content, you need to learn how to get it ranked on the first page of Google because that is where all the organic traffic lies and to do that, I would recommend you to join an online business course called Wealthy Affiliate. WA specializes in teaching people how to make money online by being an affiliate, particularly with Amazon so it can really help you kick-start your business quick and easy. The art of getting your blog ranked is called Search Engine Optimization (SEO) which you will be covering there as well and the reason you need to know this is because no matter how good-looking your blog is, you won’t make money if nobody is coming over. However if you get your blog up on the first page of Google, you’ll get tons of traffic for free and you won’t need to spend a single cent on advertising. 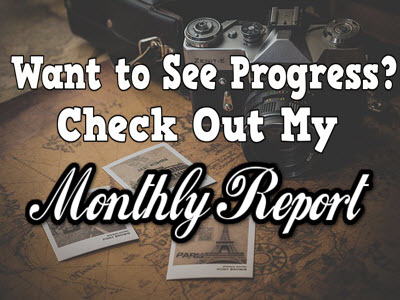 But don’t worry, joining Wealthy Affiliate is free and inside, you will get tons of updated quality lessons, free tools and even a community of people just as enthusiastic as you! (I’m one of them). With the knowledge I learned at Wealthy Affiliate, I managed to rank my blog on the first page of Google and you can do it too by starting today with the $0 Starter account. Random fact -Is Amazon big in Asia? I’m living in Malaysia and I’ve thought about this many times. When I travel to places like London and France, Amazon is big that I even come across an Amazon locker which is pretty cool (We don’t have those in Asia if you must know). However, it is not the case in Asia even though people here know about it which further sparks my curiosity. Although Amazon is popular in Japan, China and India (Lesser in Southeast Asia), people would still prefer local online marketplace such as Alibaba because of the shipping fee. Because most of the things sold in Amazon are from the western countries like the USA and the UK so for those living in Asia, we would not only have to pay at least 4 times more due to the huge currency exchange, we also need to pay for the expensive shipping fee as well which is a huge barrier for us. Still, there are of course many people in Asia who still use Amazon but it is restricted to capital cities as they are more advanced in terms of technology and spending power. Being an Affiliate is a great way to make money off someone else’s hard work as you can save time and money. 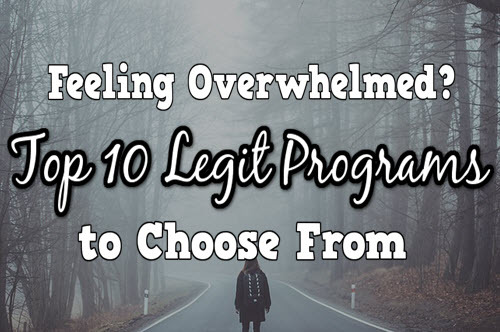 However, people today are skeptical about promotions which is why you need a blog to do that but don’t worry because after a while of maintaining and updating, your blog will start making money automatically when it gets enough traction and after a few months, you’ll have enough monthly income to quit your job! If you’re interested in learning the tricks to making money through Amazon, check out my #1 recommended program here. Thanks for reading, do drop by any comments you may have below and I’ll be more than happy to reply! 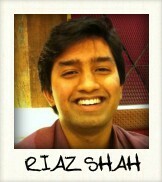 Hi Riaz, may I ask that your Amazon Associate account is based in US or Malaysia? I’m living in Malaysia and I really wish to start earning through Amazon Associate, but one question, do you have to file your tax in US? Or in Malaysia? Hey Ashley, I actually registered it from Malaysia bu of course all of my sales are all from US, UK and Canada as Malaysians don’t usually spend there. 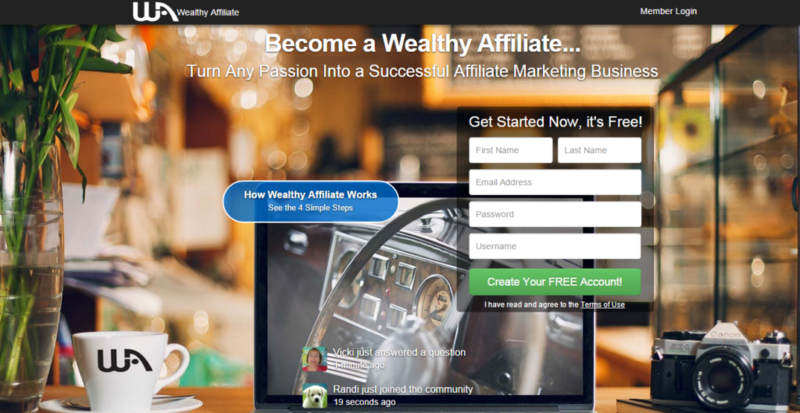 You can learn how to get started at Wealthy Affiliate‘s courses, they have a great step-by-step guide on how to do that there. Hope that helps! Hi Riaz, I always have some question on how you guys are being paid by Amazon. Understand that Malaysian can no longer receive payment via Paypal. As such, I would assume you choose Cheque as method of payment for this program? Hey Qazi, I’m actually getting paid through Paypal for all my Affiliate Markteting commissions. It’s good to go! I really wish amazon would increase the commission they have on every product, 4 % is really less when you are starting out, however after a while when you reach 8, things do not look that bad but still it is better to have an open eye towards other affiliate programs who provide higher commission rates. I definitely agree with you on that one, higher commission rates are always what we’re after but one thing I love about Amazon is that they have a very high conversion rate and people there do not just stop at one product, they tend to shop more and each product they buy, even if you’re not promoting, will still give you a nice income. I’ve always wanted to learn how to become an affiliate for Amazon, it looks so fun! Thank you so much! 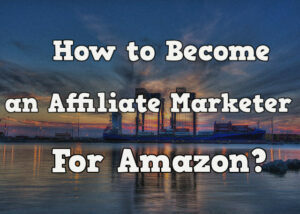 I agree with you completely that Amazon is indeed a great platform for Affiliate Marketing! Although the commission is small, people do buy in bulk which is a huge advantage for you considering a percentage of those traffic is yours! Thanks George, that is by far one of the best benefits of an Affiliate Marketing platform which none other has. Amazon may not give the best commissions but I agree that the “combo” for people on a shopping spree can work quite well for most people. Yesterday I made $10 off a random sword that I know nothing off too! I know right! I guess that makes up for the low commissions but would appreciate if its a bit more though. Thanks for dropping by!